Cybersecurity in the financial services industry is rapidly evolving. Do you know how to stay ahead of the curve? 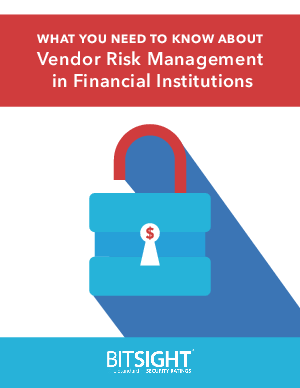 The financial sector has been a pioneer for vendor risk management (VRM) best practices for a long time. Yes cybersecurity practices are continuing to evolve, and regulatory bodies are focusing more on third-party risk. Are you prepared for these changes? How the threat landscape has been changing - and what can you do about it. Some challenges the financial industries face in taking on VRM. Four proactive tips for better VRM practices that you can put into place today. Download this free white paper now to better understand the changes to cybersecurity in the financial industry and what you can do about it.